After retraining on Hurricanes, Pilot Officer Bartoš, RAF Service Number 83220, was posted to the newly formed No 312 (Czechoslovak) Squadron at RAF Duxford in Cambridgeshire on 5 September 1940. No 312 was the second Czechoslovakian fighter unit and had been formed a week earlier on 29 August 1940 at the Czechoslovakian aircrew depot at RAF Cosford in Shropshire. The squadron’s motto was ‘non multi sed multa’, meaning ‘not many but much’. The squadron badge was a stork volant, a reference to the French ‘Escadrille des Cygelines’ with whom the original pilots of the squadron had flown prior to coming to the UK. Two days later on 31 August the first nine used Hawker Hurricanes Mk1 were flown into Duxford and on 4 September 1940 a Miles Master Mk1 arrived. Bartoš was among the Czechoslovakian airmen, flying personnel and ground staff who arrived at RAF Duxford during the afternoon of 5 September 1940. The squadron was based around experienced pilots who had already had combat experience during the Battle of France, many of whom had scored one victory or more. On 6 September 1940, the pilots began with theoretical preparation for flying the Hurricanes and with training flights on the Master. The training was very slow because the unit had just the one trainer aircraft. For faster retraining of the pilots another Master was loaned from No 310 (Czechoslovak) Squadron. 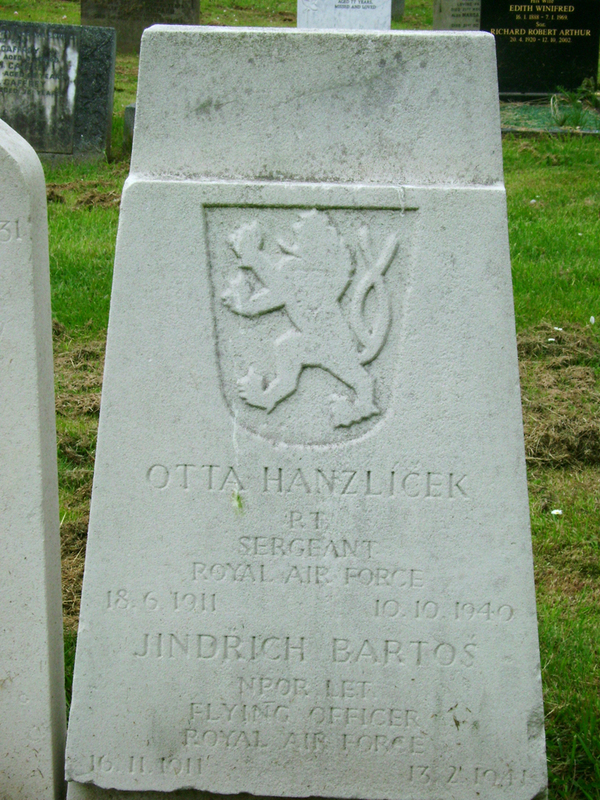 On 19 September the squadron was joined by another of the Merseyside Few, Otto Hanzlíček. After nearly a month the level of training was very high and on 26 September the squadron moved to its new home, the RAF station at Speke Airport, Liverpool. There the unit completed its retraining and in last days of September obtained further Hurricanes. 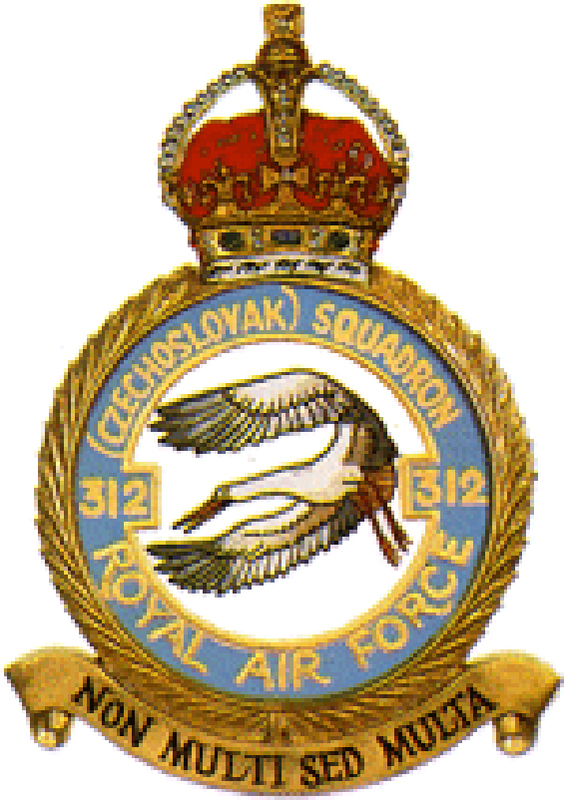 On 2 October 1940, No 312 (Czechoslovak) Squadron was declared operational and given the task was of protecting the Liverpool area from enemy raids. In October 1940 Pilot Officer Bartoš became an operational pilot. At first he served as a section leader and after promotion to Flying Officer he was appointed deputy flight leader of B flight. On 10 October his squadron comrade and compatriot Otto Hanzlíček was killed after engine failure forced him to bail out into the Mersey. Bartoš was part of a detachment sent to RAF Penrhos in North Wales [Google map] on 22 December 1940 to fend off attacks on the airfield by German bombers. Taking off out of RAF Penrhos on 13 February 1941, Bartoš was flying Hawker Hurricane V6885 (DU*V) participating in mock dog fighting with Sergeant Votruba. At 14:30 hours Bartoš’s aircraft was seen to go into a spin/dive from 5,000 feet by Sergeant Votruba. It crashed at Talacre near Prestatyn [Google map] on the mouth of the Dee opposite the end of the Wirral peninsula. The reason for the crash is unknown but it is thought that it was caused by failure of his oxygen equipment. The accident was witnessed by Mr Frank Parsons and his friends who were at school at the time. They saw the Hurricanes swooping around in the sky over the nearby range, when suddenly one of the aircraft fell away and fluttered down like a leaf until it disappeared out of sight behind some trees. Mr Parsons was one of the boys that the headmaster sent across to the crash to see what had happened. Upon arriving at the scene of the crash they saw the pilot’s body being removed from the cockpit by a number of locals including the district nurse and then being wrapped up in his parachute and placed alongside the wreck. When a salvage crew arrived all non-essential persons were removed from the site and placed behind a wall. During the salvage operation the crew threw bits of the crashed Hurricane to the local children behind the wall. A Bell tent was placed in the garden of an adjacent holiday cottage to act as a guard post. Mr Parsons and his friends recalled that the aircraft was buried up to its wings and sticking out of the ground at about 45 degrees with its tail in the air and was the correct way up. Flying OfficerBartoš was buried with full military honours on 18 February 1941 in Liverpool West Derby Cemetery, section RC row 11 grave No 392. He shares this Sergeant Otto Hanzlíček. Representatives of the Czechoslovakian depot at RAF Wilmslow attended. 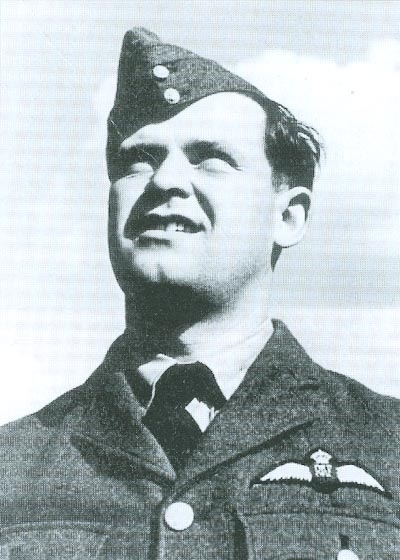 Flying Officer Bartoš had approximately 863 flying hours to his credit, with 27 of these on Hurricanes. Jindřich Bartoš was one of 89 Czechoslovakian airmen who fought in the Battle of Britain.